The number of research studies on clinical aspects of mindfulness and neural correlates of meditation practices involving mindfulness is fast growing. But, what is understood as mindfulness and goals of the practice differ across traditions and studies. Clarity in conceptions and components of mindfulness is essential for interpretation of findings across studies and better understanding of the mechanisms involved. In this paper, I outline a working model for exploring mechanisms and effects of different types of mindfulness. The focus is on five dimensions of mindfulness: (1) intention and context of mindfulness practice, (2) bare attention, (3) attentional control, (4) wholesome emotions, and (5) ethical discernment. Meta-awareness and insight, as two additional factors associated with mindfulness, are also discussed. I explore the role these dimensions and factors play in the conception of mindfulness used in the mindfulness-based stress reduction program and in the traditional Buddhist context. Importantly, it is considered how the dimensions and factors of mindfulness may map onto distinct cognitive processes and neural substrates, and what the possible links between them are. This leads to a variety of research hypotheses and questions about mechanisms and effects of mindfulness. 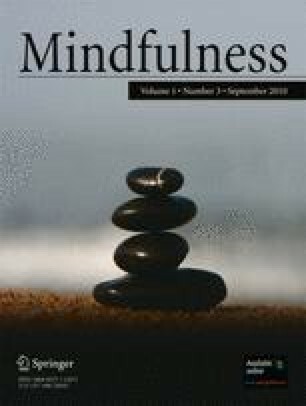 I suggest how refinement of the concept of mindfulness and sensitivity to differences across conceptions of mindfulness can lead to development of novel condition- and individual-specific treatment approaches based on meditation, and advance neuroscientific research on brain plasticity associated with well-being. The author would like to thank Venerable Bhikkhu Bodhi, Khenchen Lama Rinpoche, Dean Pielstick, Rebecca Crane and Kristin Neff for valuable comments on an earlier draft of this article. Any errors in this article are solely author's.